Recently, I took a bus trip to the beach town of San Blas. When I told my friends in Ajijic that I was going to San Blas, most of them did not know of the place. When I was in San Blas and told people I was from Ajijic, most of them had never heard of it. It only takes about five hours to drive to San Blas and seven hours by bus. It is an easy bus ride. The way I did it was by taxi to the long distance bus station from my house in Ajijic. That was the most expensive part of the trip, about forty dollars. 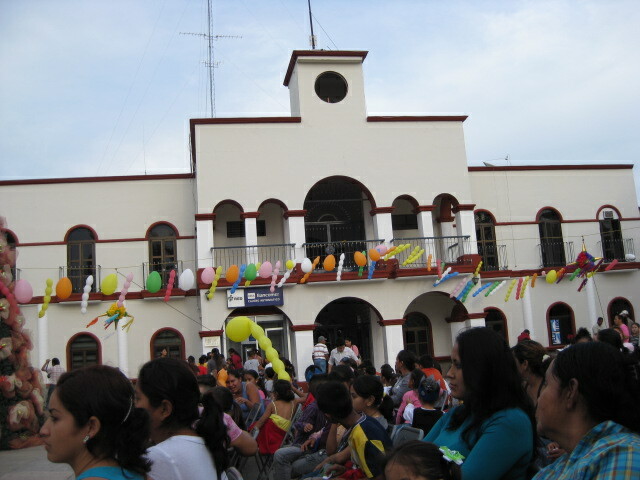 From the long distance bus line, I went to Tepic. I changed buses in Tepic for San Blas which is just a little over an hour away. The entire trip cost me less than seventy dollars. To the birders of the world, San Blas is famous. Over two hundred species of birds show up there in the winter months. There is an International Bird Festival that lasts for two weeks during the winter and there are many local excursions organized for the birders. There is even a parade in town for the returning birds. 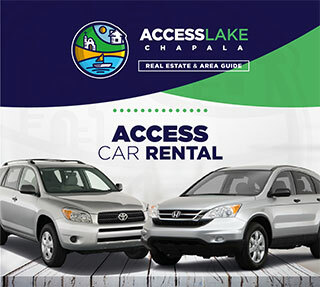 San Blas is located forty miles West of Tepic and a hundred miles north of Puerto Vallarta. It was founded in 1531 but the official founding date is 1768. It was a naval base of the Spanish Navy. 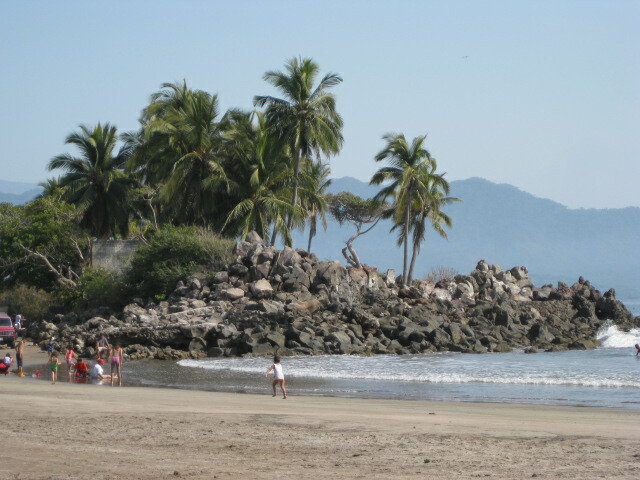 For twenty years in the late 18th century, San Blas was one of the busiest ports and ship building centers on the Pacific Coast. If you visit there, be sure to go to the top of the hill and check out the old fort and the old Church of Our Lady of the Rosary which was built in 1769. It is now used for weddings and the fort is used for the wedding receptions. 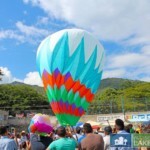 It is a great place to see the entire town of San Blas. 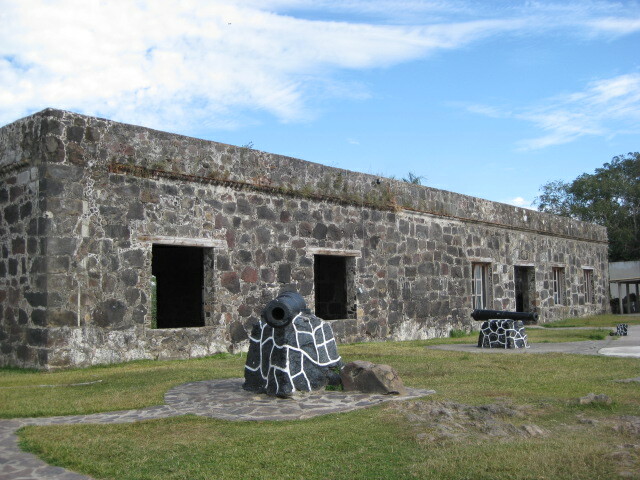 At one time the town of San Blas made cannons. You can see some of them around the town. There are also some interesting stuffed crocodiles and many still living crocodiles in the mangroves. 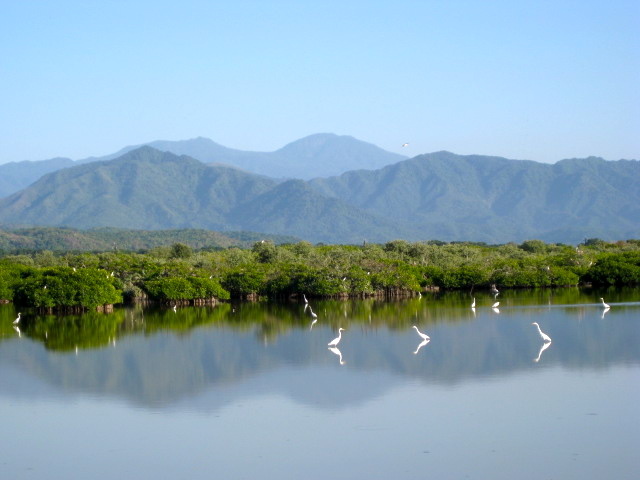 You can take a boat ride up the mangrove swamp and see crocodiles and exotic birds. As you can see from the photo, San Blas is surrounded by jungle. The population of the town is under ten thousand people. Just a few expats live there. Because of the mangroves and swamps, San Blas has a bad reputation. There are pesky little jejenes which you can’t see but bite. They don’t bother everyone but if you are one of the lucky ones, you can end up being run out of town. This is a blessing to the people who live there. Because the jejenes have kept San Blas from becoming an expensive tourist destination. It is still a sleepy little fishing village. Ten years ago, when I first visited San Blas, there were few cars. People mostly got around by bicycle. Now there are many cars, motor scooters and motorcycles. It is the bicycles you have to watch out for because sometimes one will be coming down the street with three people on it and they have a hard time swerving. There is a lot of traffic in the evenings. The plaza is a lively place then. 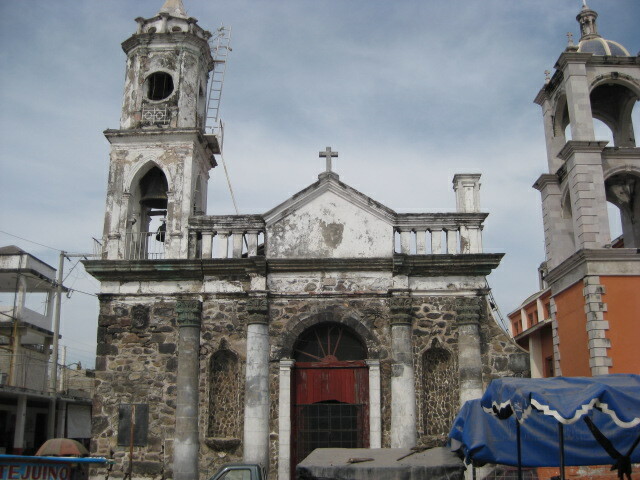 The Old Church is located in the center of town and next door to the newer one. 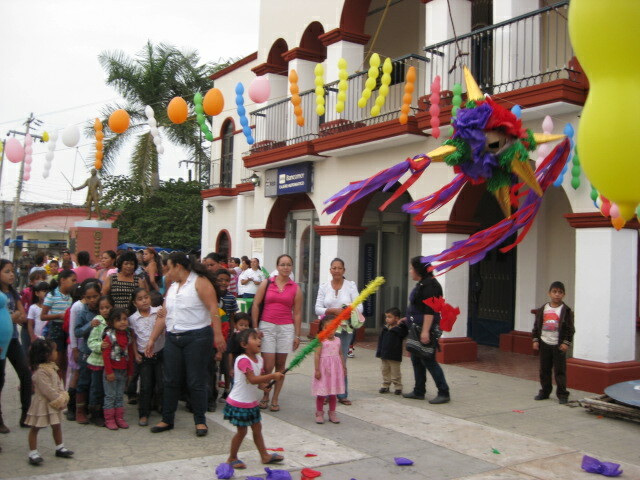 Much of the social activity is centered around the church. The plaza is just across the street from the churches. The Municipal building is located on the plaza. 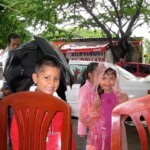 The children of Mexico receive their Christmas gifts on January 6th. 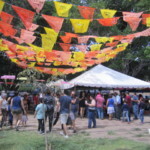 This is the day the town of San Blas puts on a huge celebration for them. I think every child in the town must have been there. 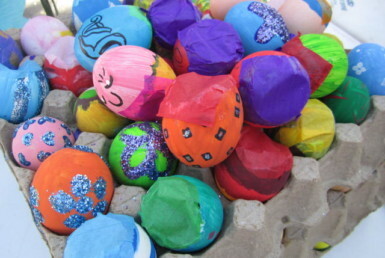 They had pinatas and many presents. There was loud music, a magic show, cake and a bouncing slide. The children were wild with excitement. I stayed in San Blas for three weeks. 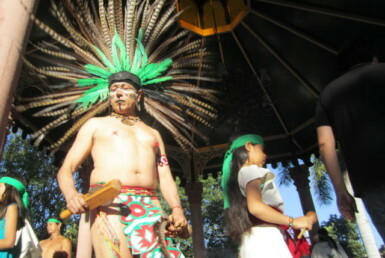 While I was there I saw several celebrations in the plaza. It is a lively town. 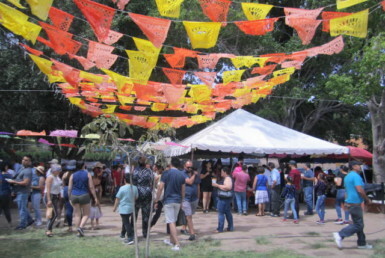 The Huichols have stands set up in the Plaza for their beautiful handmade jewelry and purses. 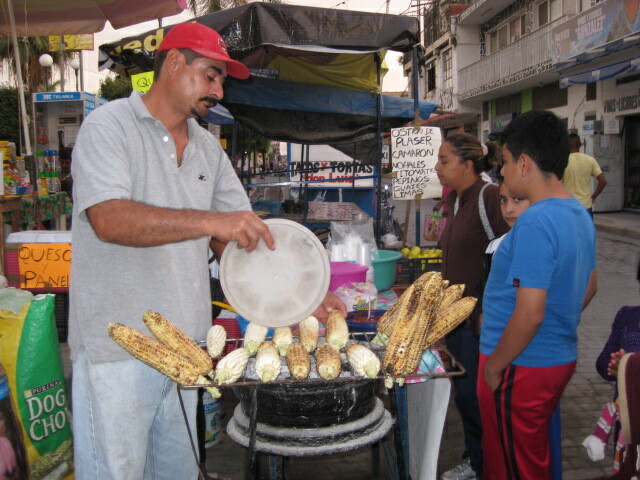 Small stands are set up at night to sell corn, tacos, hamburgers and other delicious food. I love eating food from the street vendors. 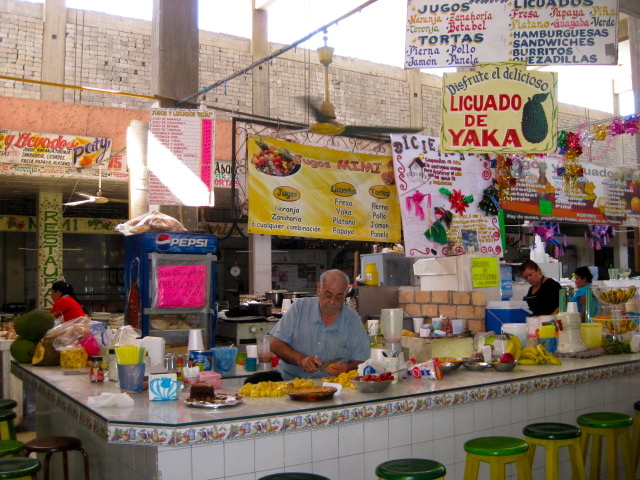 The inside market also has many stands with different foods for sale. You can also buy fresh fruit and vegetables there. I especially love the fresh fruit smoothies. 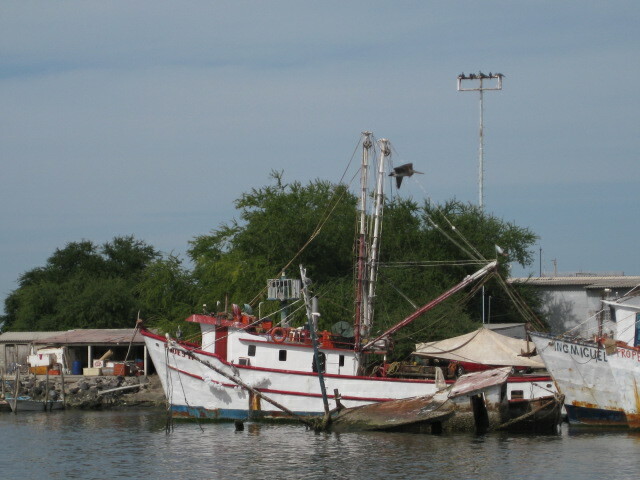 San Blas is still a fishing village, although the fish aren’t nearly as plentiful as in the past. There is a harbor which has recently been upgraded. Sometimes people come in and dock their sailboats for a few days and then travel on down the coast. Or maybe they decide to stay in San Blas for awhile. There are many fishing boats that go out from the harbor almost everyday. In the mornings, across the street from the plaza, the women set up their stalls. They sell fresh fish, lobster, shrimp, clams, and other things from the sea. If you love seafood, you shouldn’t miss out on a trip to San Blas. 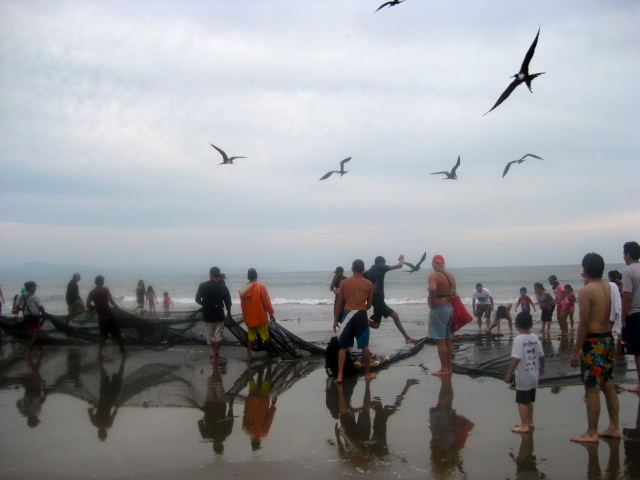 When I visited San Blas eight years ago, I witnessed a net fishing afternoon. Many people helped to bring a huge net to shore. It was teaming with all kinds of fish. I saw it again on this visit but unfortunately there were just a few fish in the net. It brought home to me how things have changed there. It is sad to see the loss. 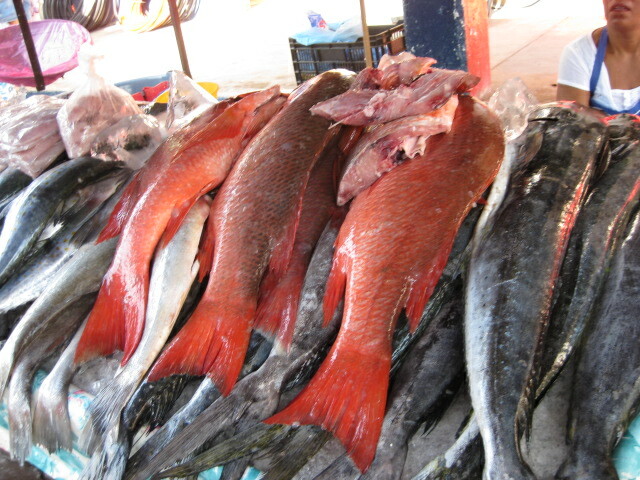 There are many restaurants in San Blas that specialize in fish and other sea food. 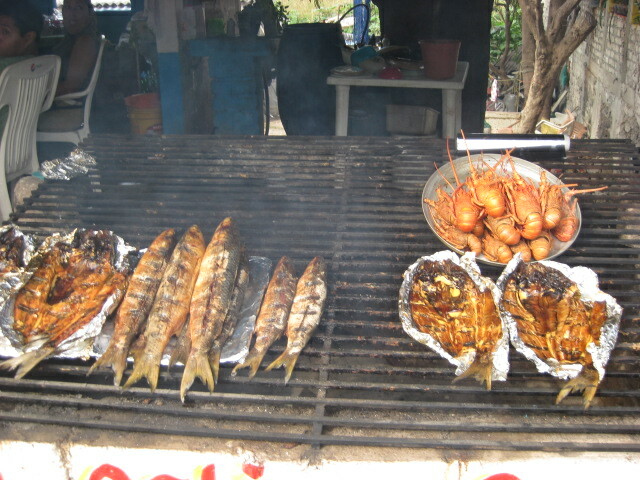 When you first come into town, the street is lined with outdoor sea food restaurants with grills in front filled with fish, lobster, and other sea food. Some of these restaurants are owned by fishermen who go out early in the morning to bring in food for the day. My friend and I ate Marlin tacos at one and they were delicious. If you like shells, then don’t miss a visit to the restaurant Ia Isla. 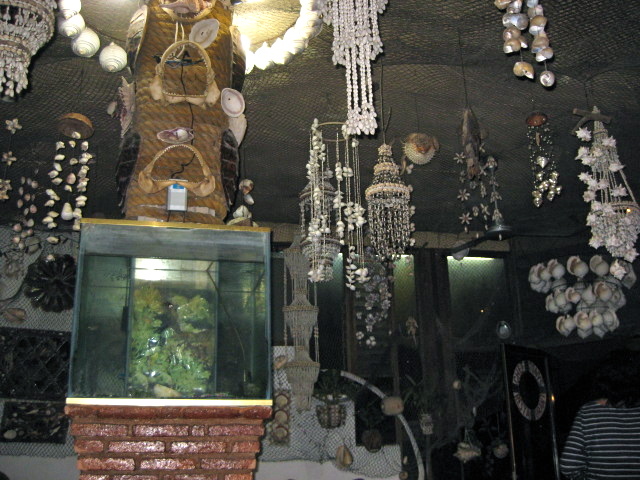 Every inch of wall and ceiling space is covered in sea shell objects. They also have great sea food to eat. Besides the outdoor restaurants that are lining the streets as you go into town, the beaches are also lined with outdoor restaurants that serve delicious sea food meals. 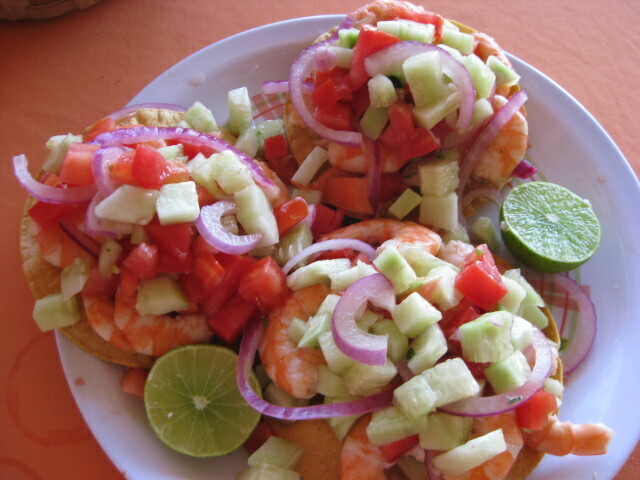 My favorite was the fresh shrimp tostadas. Delicious. I believe that some of the most beautiful beaches in Mexico are located in the San Blas area. My friend drove me around to some of them. But if you don’t have a car you can easily hop on a bus and get there within a few minutes. 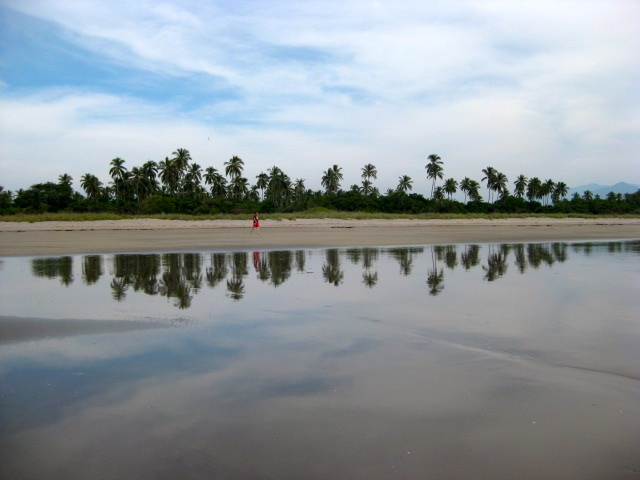 Borrego Beach is the closest beach to the town of San Blas. You can easily walk there or take the taxi for less than two dollars. The beach is about a mile and a half long. If you don’t want to walk that far, you can always rent a horse. It is very inexpensive. 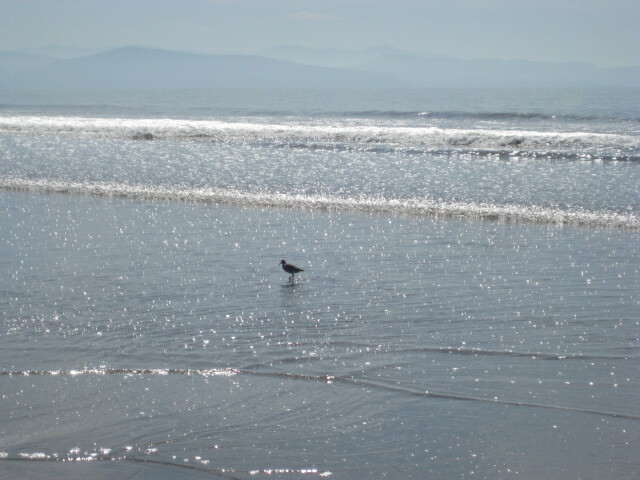 Las Islitas Beach is just a few miles from Borrego Beach. It has a different quality. The waves are much smaller. It is a better beach for swimming. There are so many beautiful areas in and around San Blas but I am running out of space. 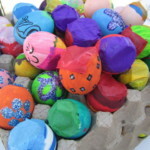 There are some expensive hotels and some inexpensive hotels for you to choose from. 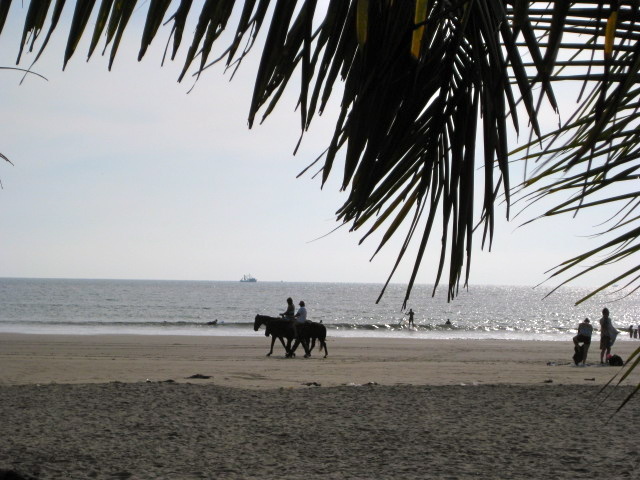 It is one of the least expensive beach towns that I have visited in Mexico. Thank you biting jejenes for keeping it a quiet fishing village. 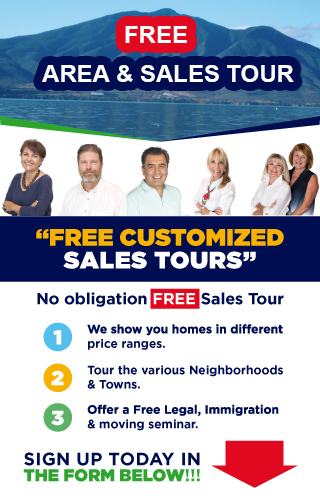 If you would like more information about San Blas, my friend Pat Cordes will be happy to help you. 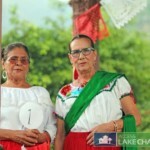 You can contact her through www.Mexicoguru.com. If you have any other general questions about living in Mexico, please contact us. Great post about San Blas, My husband and I visited there in 2006 and hope to make it back this winter. Great photos, too! Thanks for sharing your fantastic photos of San Blas. All of them are extremely good! I’ve been there 12 times starting in 1980. I love that place, and having traveled the world, I can confidently say there aren’t many places like it, if any at all. The photo of inside the market struck me because if you compared it to 1980 it would look exactly the same! 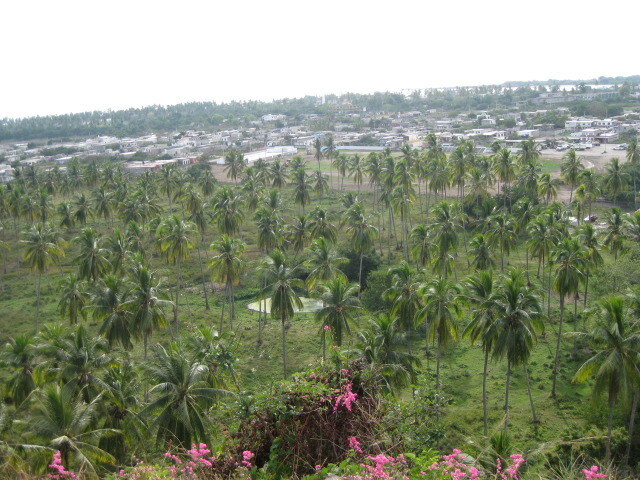 The photo of the town from the fort surprised me because it shows how San Blas has grown. Before, you’d be hard pressed to see any houses at all! The streets have certainly improved. Way back when, a lot of the old cobblestones had been worn off and during the summer months there were huge holes filled with water which you’d have to weave your way around! Since it used to be a surf mecca, there were numerous young people from all over the world and it was a very “happening” place. However, they ruined the wave by extending the breakwater out so far and all of the surfers started going to points further south. The first time I went up to the fort it was completely grown in and it was in a very dilapidated condition, with trees growing out of it! You could not even walk up there the weeds were so high. There’s something about the place, with those old Spanish style buildings and the thick tropical air. What an atmosphere! Well, I’ve got a lot of fantastic memories of my visits to San Blas through the years and it certainly is, in my opinion, one great spot on earth! Your photos helped revive my memories. Thanks a lot for posting them. The last time I was in San Blas was 1978. I stayed 5 months in town. Went to lsabela with Pipila and his son over xmas of 1978. I loved being in San Blas. Best time of my life. If Maria and her family is still selling tacos, please send her loving. Ruben and Chino were good surfers and fine friends. I actually ran into Chino in Cocoa Bch, florida,USA.